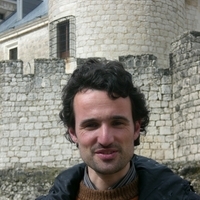 Igor Pérez Tostado, is permanent Lecturer in Early Modern History at the Universidad Pablo de Olavide of Seville (Spain). He obtained his degree in History in 1999 in the University of Deusto (Bilbao, Spain) and his PhD in History and Civilisation in 2004 at the European University Institute (EUI, Florence, Italy) and enjoyed a postdoctoral fellowship at the Moore Institute in NUI Galway (2005). He is the co-director of the postgraduate program in History “Historia de Europa, el mundo Mediterráneo y su difusión Atlántica: métodos y teorías para la investigación histórica” which holds the quality award of the Spanish Ministry of Research and Innovation, and belongs to international networks of postgraduate training in history (Mediterranean Doctoral School in History and the Master européen « Histoire politique etculturelle de l’europe médiévale, moderne et contemporaine ». He is head of a in Spanish national I+D+i (Research, Development and Innovation) program, “Afinidad, violencia y representación: el impacto exterior de la Monarquía Hispánica” (HAR2011-29859-C02-02), Regional Excellence programs, and is member of the Atlantic Node of the Columnaria Network. His research deals with the Irish migration and integration in the early modern Spanish Monarchy in Europe and America. His work emphasizes the circulation, readaptation of culture and political participation of theminorities within the Spanish Monarchy. He has published several articles, book chapters and books. Among them: Irish influence at the court of Spainin the seventeenth century (Dublin, Four Courts, 2008), Ireland and the Iberian Atlantic (Valencia, Albatros, 2010) edited together with Enrique García Hernán and Los exiliados del rey de España (2013) edited together with José Javier Ruiz Ibáñez. Pesadillas hegemónicas: ¿una clave para conectar la violencia? Prospecciones: ¿qué podemos aprender de las masacres modernas?